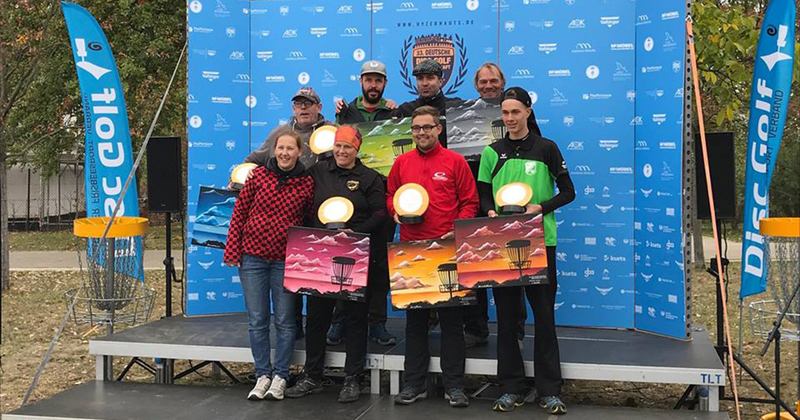 Team Latitude 64’s Kevin Konsorr put on quite a show of consistency during the German Championships in Potsdam. 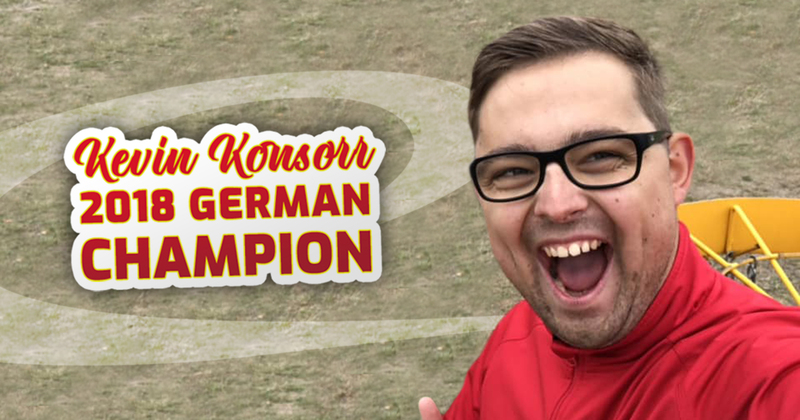 All Kevin’s five tournament rounds were rated between 1009 and 1025 (with a 1017 average) and that consistency resulted in his second German Championship title. We had a quick talk with Kevin about the event. – The win was pretty important for me, Kevin says. I won the German Championships in 2016 for the first time in the Open division and wasn’t able to defend the title last year. This year worked pretty well for me and winning Germany‘s biggest event for the second time is just stunning. Being the best in a country is awesome! – I think my game worked well this year because I managed to play on a good level all year. There were almost no big mistakes in the tournament and when I struggled, I had great support from my Caddy in all rounds. I am really thankful to have that support during the event! What discs were the most important for this event? 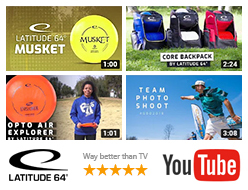 – The most important disc was definitely my Harp which I used for almost every shot below 100m. I could also trust my compass 100% when I need to go straight in tight lines. Last but not least my Mercy had a big impact on my low scores. It gives me confidence for every putt and I can‘t imagine playing without it! Congratulations on the victory, Kevin!